Google’s new Pixel phone is the successor to the Nexus line, and takes their place for getting new updates and features from Google first. We reviewed it favorably Google Pixel XL Review and Giveaway Google Pixel XL Review and Giveaway Google's first branded device delivers one of the best devices in the Android ecosystem: the $770 Pixel XL. The XL launched with similar specs as the $500 Nexus 6P, but is it worth $770? Read More , and despite the high price point, it’s arguably one of the best Android phones you can buy right now. If you don’t have a Pixel, you might feel left out since you can’t access cool new features like Google Assistant, the new dialer app, and special icons. We’ve discussed how to add these to any Android phone Get the New Google Pixel Features on Any Phone Get the New Google Pixel Features on Any Phone Want the Google Pixel features without buying a new phone? We got you. 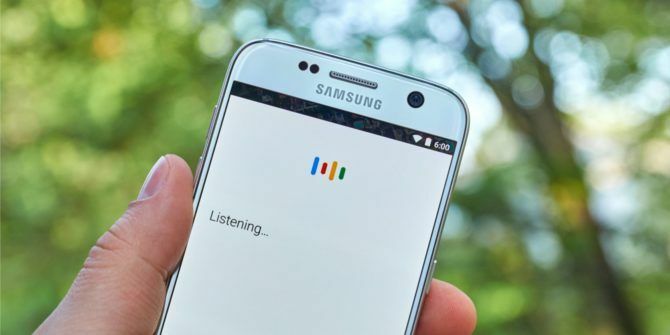 Read More , but there’s another method you can use to get Google Assistant on a rooted device. An XDA Developers forum details how you can trick your phone into thinking that it’s a Pixel. For this to work, you must have Android 7.0 Nougat or newer installed, and your phone must be rooted with SuperSU installed. The guide also contains a list of devices that have been proven to work with this process. Make sure your Google app is updated, then use a file browser with root access to browse out to /system/ and mount it as read/write. Long-press on the file called build.prop and open it with a text editor. Save the file, then restart your device. You should have Google Assistant ready to go when you long-press the Home button. If you don’t want to use this method, you can also flash a ZIP file from another XDA user that will do it for you. Note that making this change may affect other aspects of your phone, such as receiving Android system updates. Make sure you know what you’re doing before you attempt this; novice users shouldn’t root their phones. Not sure if a Pixel is right for you? Check out secret features that might convince you to buy it These Secret Google Pixel Features Will Convince You to Buy It These Secret Google Pixel Features Will Convince You to Buy It The Google Pixel isn't just another Android phone. Google packed some seriously cool and unique features into this device. Read More . Will you attempt this tweak to try out Google Assistant? Share with us what phone you have and if it worked for you in the comments! Explore more about: Android Nougat, Google Assistant. I am English and find it hard to understand this Pakistani person so will not bother if you have some that can speak clear I will try it!!! To get Google assistant to work. Don't need to change the device name to Pixel/Pixel XL anymore. I have a Nexus 5 running Android 7.1.1 (Lineage OS 14.1) and can confirm that adding just this one line to build.prop works fine. Also, opengapps Aroma installer now has the option to Google Assistant when flashing Gapps.